The initial dilemma for Dennis Sullivan is not the anger he will incur from Jack’s family, or how to manage a terminally-ill curmudgeon who mistakenly believes he knows everyone. He can even humor Jack’s desire to become like a mayfly – one of those nasty spring bugs with a lifespan of only a few days, but are unforgettable monsters. The true question is why help someone who was not there for him when his own wife was dying and he needed a friend? Guilted into this late odyssey, Dennis soon discovers the road to hell is truly paved with good intentions and it takes courage, faith, and a generous dose of anarchy to change the destination. He finds his best friend’s “bucket list on steroids” is not a tale of self-absorption at all, but rather a well-considered plan to touch his estranged family and seek forgiveness. And Jack plans the biggest makeover of all for Dennis. 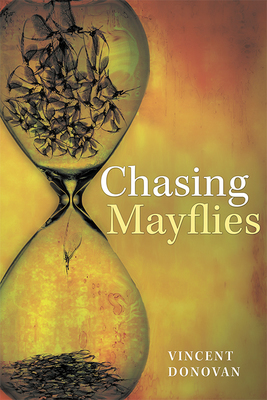 Chasing Mayflies is a “R.I.P.” roaring, hilarious journey that matches an intriguing plot with a thought-provoking message that will resonate with your soul long after the story ends.